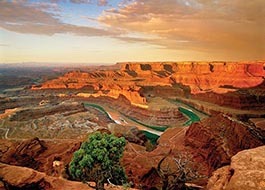 Canyonlands is a remote place, but lodging near Moab isn’t as remote as you’d think. 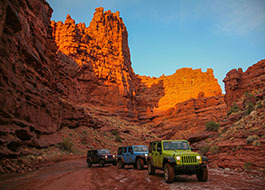 There are a number of comfortable hotels and accommodations with a reasonable drive from any of the districts in Canyonlands National Park. Note that due to the size of Canyonlands National Park, you may want to select a district you’d like to explore. We’ve listed lodging options nearest to each district as some are in different cities. If you’re interested in visiting the Island in the Sky area, here are a few of the closest lodging options. The newest and closest hotel to Island in the Sky district. The Springhill suites isn’t kidding around when it comes to relaxing and cooling off. With multiple pools, hot tubs, and a kids canyon, complete with splash pad and waterfalls, high speed wireless that can be accessed anywhere on property and spacious room, you can’t help but enjoy your stay. Just next door to the Springhill Suites. This Fairfield Inn shares all the new and impressive pool and spa facilities with its sister property. Not to mention, the Friendly staff, complimentary breakfast, and the beautiful viewing area right along the Colorado River. Locally owned and operated offers amenities for everyone from business to vacation travelers. Located 2 miles from Arches National Park, the Aarchway Inn is resort hotel that offers a complimentary in-town shuttle, barbeque pit, espresso bar, and a relaxing courtyard with stunning canyon views. A great place to rest and recharge with no surprises. Except, the exceptionally friendly and helpful staff, the easy proximity to Arches and Canyonlands National Park, the beautiful views, fire pit area, and heated pool. Tripadvisor’s highest-rated budget motel in Moab, works hard on being Moab’s best value. The Inca Inn prides itself on its cleanliness and comfortable beds. Comfortable, clean, and consistent, that’s why we love Hampton Inns. Moab’s Hampton Inn is no different and will make you feel instantly at home. Located on the edge of town, but you can easily take a stroll to get a bit to eat or do some shopping. 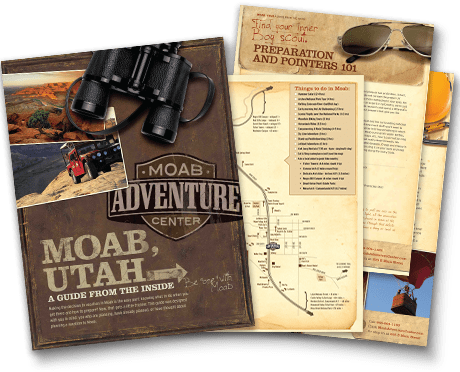 If you’re interested in exploring the Needles District, you might consider making Monticello, Utah your home base, or there are great options in Moab as well. A cozy bed and breakfast near the Abajo Mountains. The Grist Mill Inn is a cozy place to relax. Each room has detailed unique decorations and private bathroom, and the full course breakfast will get you off to a great start for exploring Canyonlands. An affordable family owned and operated motor lodge in the heart of Monticello. The Blue Mountain Horsehead Inn offers complimentary wifi, mini fridge and microwave in each room, hairdryer, and cable television. A beautiful mountain setting makes this retreat a relaxing getaway. 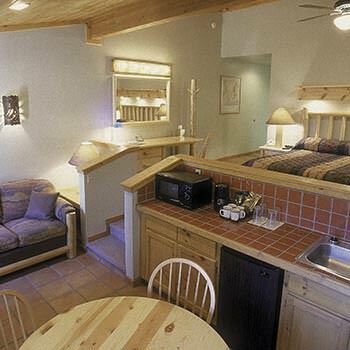 Canyonlands lodging offers a variety of cabins from one bedroom, to ranch houses that can accommodate up to 70. Easy self check-in and check-out, and the proximity to Canyonlands National Park and other points of interest make this a great place to call home for a while. A great value. This lodge-style motel is within easy walking distance to restaurants and shops. The Big Horn lodge is proud of its exceptionally clean rooms and friendly staff, and you can be assured of a comfortable stay. The Gonzo Inn is a one-of-a-kind boutique hotel. It’s a sanctuary in the heart of town. It’s hard not to appreciate all aspects of the Gonzo in from the fun colors down to the towel racks. The complimentary breakfast, private balcony or patio off each room, and inviting pool area are just a few more reasons to love this hotel. The most centrally located hotel in Moab, steps away from restaurants, bars, shops and ice cream parlors. Recently remodeled, offers comfortable Euro Top mattresses, premium suites, and a seasonal pool and year round jacuzzi. If you plan to see the Maze District, you might consider staying in Hanksville, Utah or Green River, Utah. Here are a couple suggestions in each location. The Whispering Sands Hotel is a great, centrally located stopover place when visiting Utah’s many National Parks and attractions. You can stay in comfortable cabins or lodge room, and the hotel offers spacious parking for boats and rv’s. With a convenient location off 1-70, the Holiday Inn Express in Green River is an ideal place to relax and explore the cozy town of Green River. The complimentary breakfast and indoor pool are nice added bonuses. Nice place to refresh after a big day in Canyonlands. 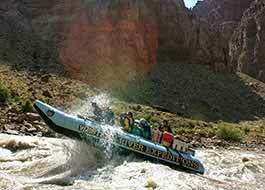 Take some time to visit the nearby sandy beaches of the Green River and the John Wesley Powell Museum. When you’re done make sure to get a cup of the complimentary soup or chili served in the evenings.